My son is fortunate to have art class at his new school. I would have been in heaven if my elementary school offered art classes when I was a kid. 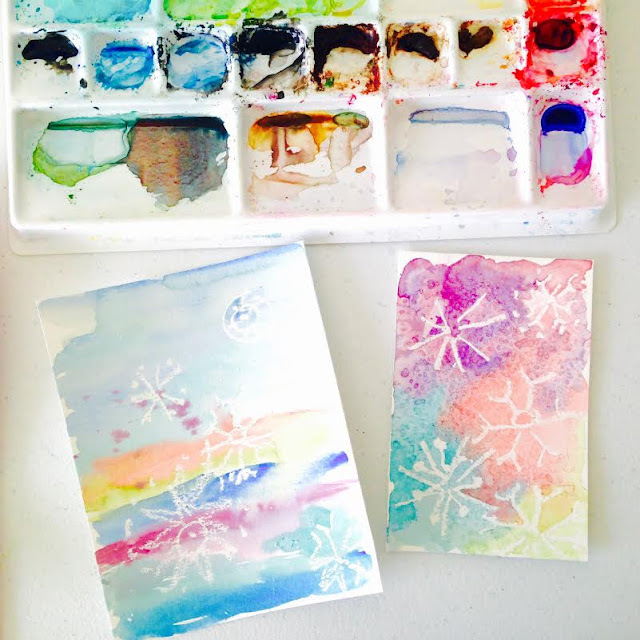 I was so excited when my son came home with a cool watercolor snowflake project that we had to replicate at home together. So, please note, I didn't invent this idea. I'm just sharing the process. Enjoy! 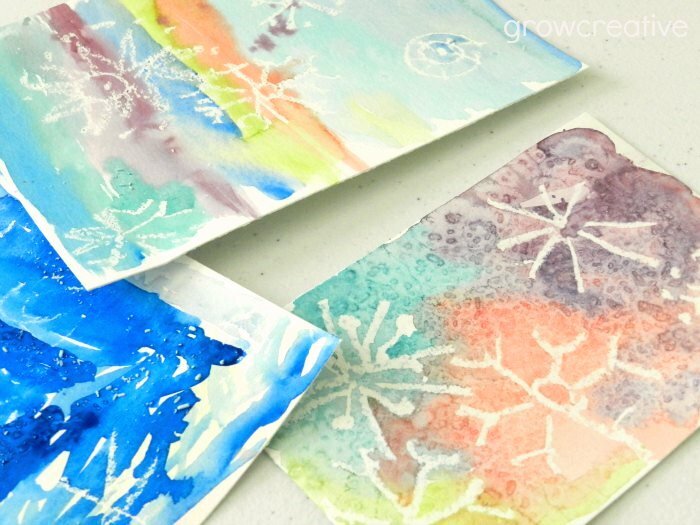 Step 1: Use the white crayon to draw snowflakes on the watercolor paper. It's hard to see what you are drawing but you can check your work by holding your paper next to the window. If you are stuck as to how to draw the snowflake shapes, think pinwheels or flowers. It's easiest to start from a central point and draw lines coming out from the center. Step 2: Paint watercolors in all kinds of pretty colors over the crayon on the paper. 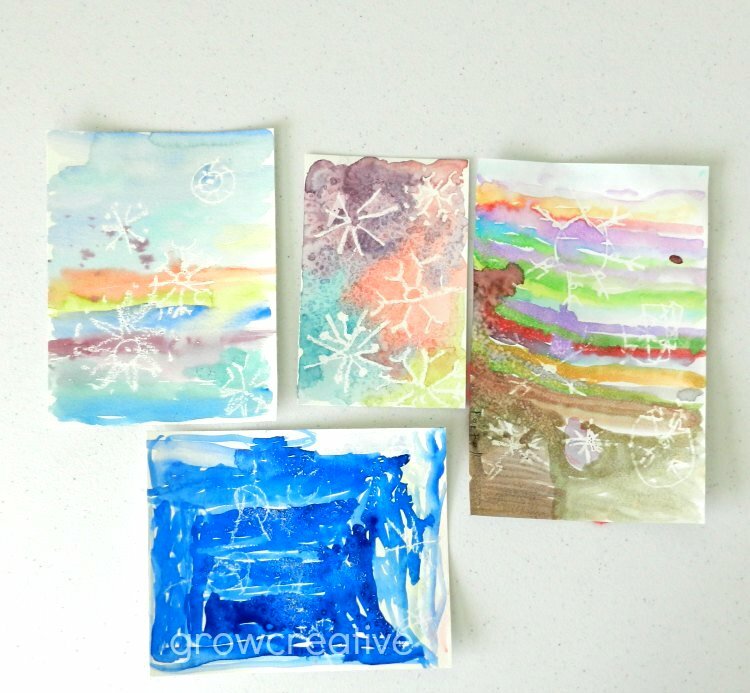 The wax from the crayon resists the watercolor- magically exposing the snowflakes you drew! This part is fun to watch! 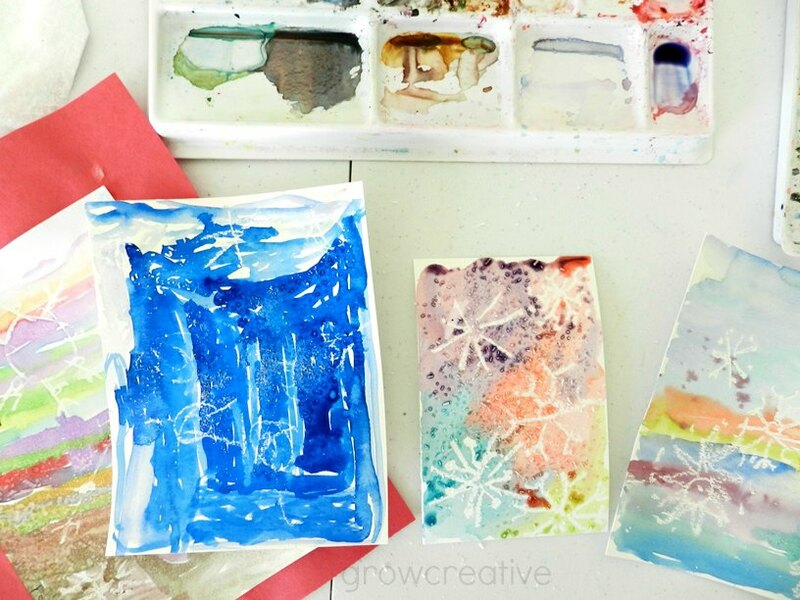 Step 3: While the paint is still wet, sprinkle salt on the painting and let it dry. This creates some fun spots and texture, plus leave a slight amount of glitter behind. Bigger salts like Epsom salt, leave bigger more noticeable spots, but you can use table salt too. Once the paint is dry, brush the salt off and you're done. Oooh! I'll have to try to convince Spencer to try this with me!